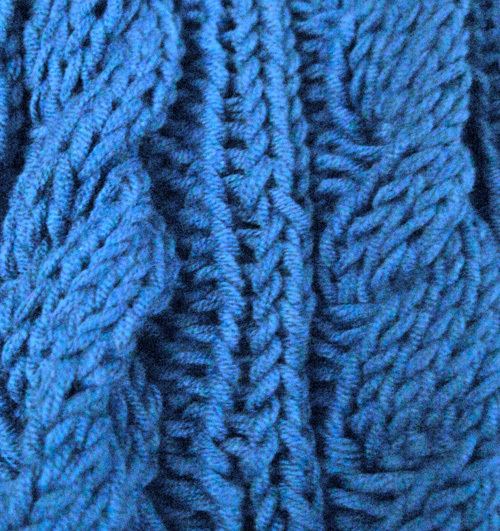 After knitting those swatches last week, I decided to do a simple project involving cables: a scarf. I found an easy pattern on Ravelry, and hunkered down with some yarn that I otherwise had no idea what to do with. Here’s what I’ve come up with so far. It’s a simple pattern to memorize, and I would recommend it for anyone who wants to learn cables. 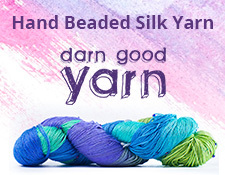 I recommend using a pattern with straight needles to start with has not to get a jumbled up with a circular or DPN’s. At least that’s what seems to be helping me out. I’m still having a little trouble juggling my regular needles with the cable needle, but I’m getting better at it. It’s all about practice. On Wednesday I got six pain management shots in my back. Yeah, it is as fun as it sounds. Last time, it was eight. Later, after all the sedation and had worn off, I found myself on the couch watching daytime TV, as that was pretty all I was allowed to do that day. 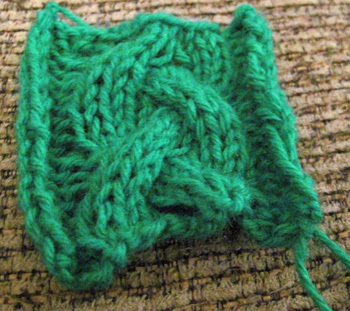 I was restless, so I decided to teach myself a new knitting technique. Cables! They always scared me. How do they twist? What makes them do that? How on earth am I going to manage them? I had cable needles, so I decided to take the plunge. I grabbed some yarn and went for it. Turns out, easy peasy, at least the basic patterns are. What was I so afraid of? Now, I still had a little trouble juggling the needles and yarn, but I’ll learn. Practice, practice, practice! Here are two of the swatches I managed. One is a basic cable, and the other is braid cable. 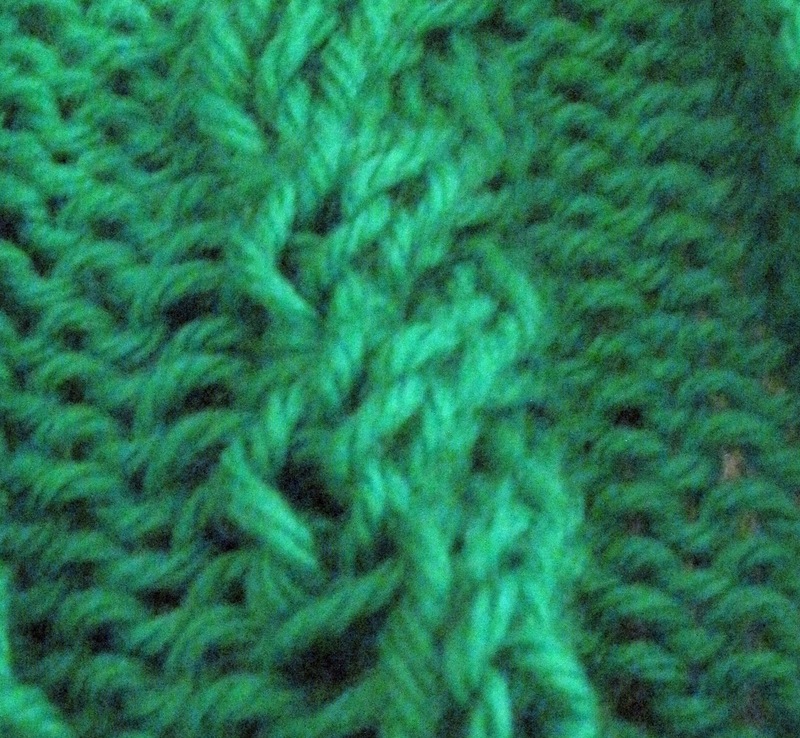 I might tackle a real pattern with cables this weekend or sometime in the near future. Here’s to learning!